I was going through old posts and noticed that this one is still available. Click here to visit the Lipton facebook and like them. Then on the “Iced Tea Mixes” tab, click “Get Your Free Sample” at the top. On the next page you’ll be able to fill out the form to request your free sample. Allow 6-8 weeks for your free samples by mail. 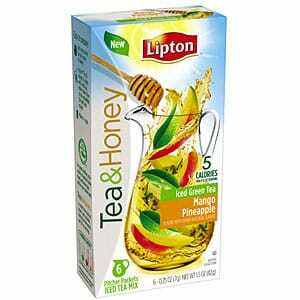 LOVE lipton Tea Mixes! They are the best!!! The black tea is very good. Love tea, how do I get the free samples? Tea with honey can’t get any better than that. Would love to try sounds awesome!! Love Flavored teas but never had this one. I love this stuff in my ice water!